The 200-1230, 200-1231, and 200-1233 Wind Speed Calibrators are suited to laboratory or bench calibration applications. The calibrator is attached to the anemometer shaft by neoprene tubing. The calibrator must be supported near the anemometer. Please consult NovaLynx for availability of the 200-1234-A, 200-1235-A, and 200-1236-A calibrators. 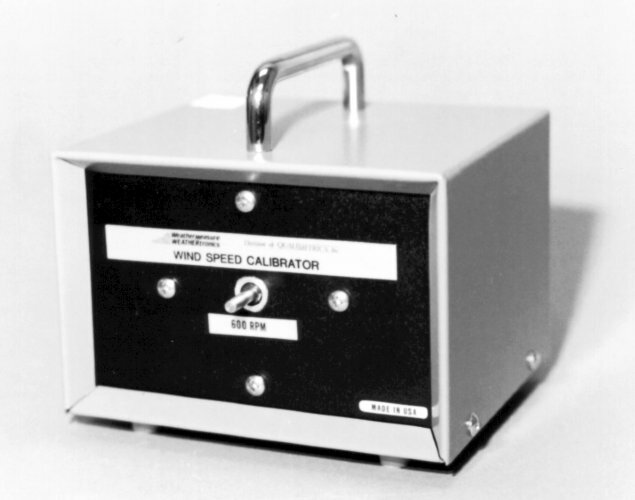 Two types of Wind Speed Calibrators are available in the 200-1230 Series. The first type, including 200-1234-A, 200-1235-A, and 200-1236-A, is designed for tower calibration of Micro Response and Low Threshold Anemometers. The calibrator mounts directly on the anemometer shaft and rotates the shaft at a known rate using a constant speed motor. The unit requires 115 Vac for operation. The 200-12341 Power Cable can be used to connect the calibrator to the power supply of a 380-8150 Series Solar Radiation Shield. 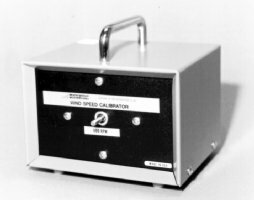 The second type of wind speed calibrator is more suited to laboratory or bench calibration applications. This type, including 200-1230, 200-1231, and 200-1233, is attached to the anemometer shaft by neoprene tubing. The calibrator must be supported near the anemometer. The constant speed synchronous motor driving these units requires 115 Vac 60 Hz. On special order, 230 Vac 50 Hz models can be supplied; however, the rotation rate will be lower due to the lower input frequency.